Munckhof arranges transport for major projects on behalf of various clients throughout the Netherlands. If you are looking for incidental or structural transport solutions for a major project like a meeting, event or international summit, then you've found the perfect partner in Munckhof. Munckhof arranges transport for major projects on behalf of various clients throughout the Netherlands. We have agreements with tour operators in the Netherlands and the border regions, which gives us access to hundreds of coaches. For urgent transport needs, Munckhof can contact one of its partners to arrange for multiple coaches at short notice. 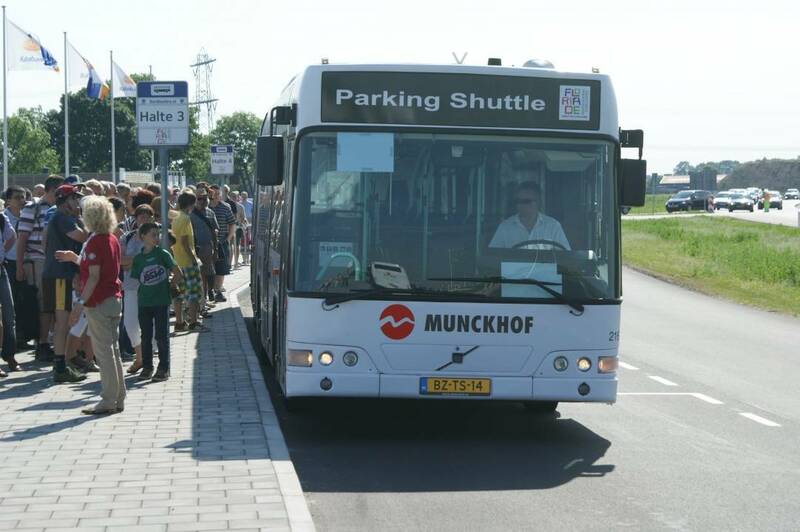 Munckhof has successfully coordinated coach transport for the Dutch Railways (NS) and transport to and from events like the Floriade world horticulture expo and the KLM Open golf tournament. In addition to standard transport solutions, Munckhof also offers unique transport concepts. In the north-east of Brabant, we are collaborating on local mobility solutions for regional taxi transport, and in northern Limburg, we are working on the FooDS concept, which will combine different modes of transport such as meal services, medical transport, taxi transport and nursing transport. As specialists in our field, we are open to initiatives like these are eager to brainstorm on future mobility issues.